Instant mushroom salad in the lemon taste. 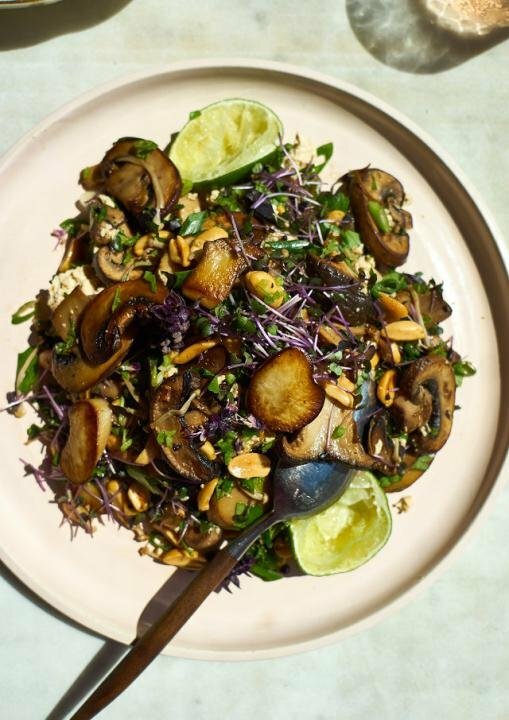 If you are fed up with traditional salad, then you can make a taste of mushroom salad. It takes time to create this salad very little. And materials are also a little bit. If the mushroom is your preferred food, then you can take this recipe. Salad is a food that can be eaten with anything that is rice, noodles or bread and butter. To stay fit, salad prepared with vegetables should be eaten regularly. 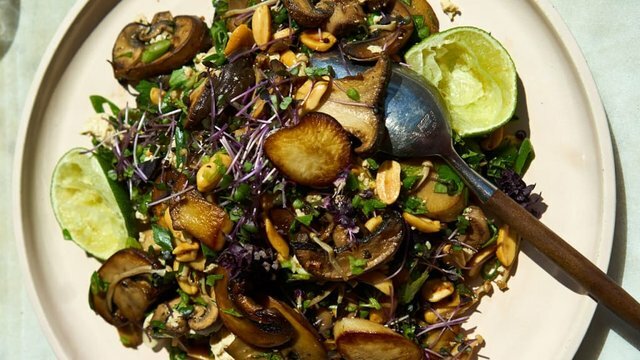 If you are fed up with traditional salad, then you can make a taste of mushroom salad. It takes time to create this salad very little. And materials are also a little bit. If the mushroom is your preferred food, then you can take this recipe. Make a dressing mixing onions, lemon juice, sugar syrup and soy sauce together in a large container. Heat a big tawa or a frying pan. Olive oil in it. When the oil becomes hot, add mushroom and sprinkle a large pinch of salt. After 4-5 minutes, stirring once. Mushrooms will release water and become brown. If golden becomes brown, get rid of the ignition. Be careful not to burn.